When you’re comparing gaming chairs, three brands always pop up: Maxnomic, DXRacer, and AKRacing. But is there really a difference between the three other than the logo across the headrest? Well, we previously compared Maxnomic and DXRacer, and you can find the results here. Today though, we’ll be taking a look at how DXRacer and AKRacing compare. To find out, we’ve scrutinized each of these companies and their products, and written a short comparison which you can read below. DXRacer is an American company with one showroom in Michigan and another in Ontario, Canada. 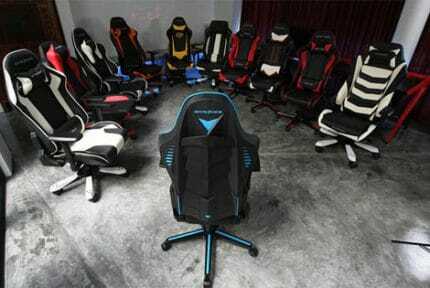 It primarily sells gaming chairs (included those used in simulators), but also office chairs, desks, and accessories including footrests, mousepads, and cushions. Most notably, this company offers a wide assortment of special-edition chairs branded with video game logos. DXRacer only ships its products within the contiguous United States but does so for free. It also includes a list of trusted global resellers for those who’d like to order from different countries. AKRacing, meanwhile, is based in Europe. 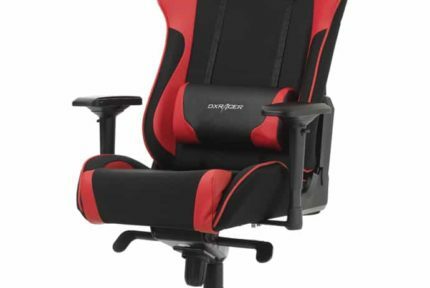 It has similar set of products to DXRacer: gaming chairs, office chairs, replacement parts, desks, branded merchandise, and accessories. However, they also offer footstools in various colors, protective mats for your floor, and a wide variety of replaceable armrests and wheels. Now, AKRacing has separate websites for European and North American customers. Delivery times can vary, but generally, you can expect your order to arrive within five days. You should note, however, that shipping isn’t free, and you may have to pay additional customs charges. Let’s get right into it! Below, we’ll compare and contrast several different aspects of these companies’ products to see if there’s an obvious winner. 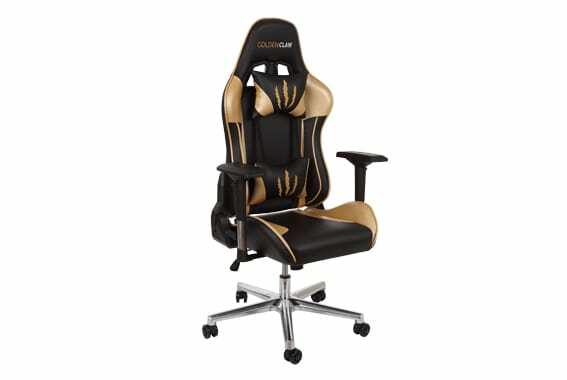 DXRacer’s chairs vary pretty wildly in price: from $289 all the way up to $699 for larger models. Meanwhile, AKRacing’s store shows a similar trend. Its chairs begin at €269 (around $309) and rise to €595 ($684); this is a slightly higher minimum cost, but a slightly lower maximum one, so both brands work out at around the same price overall. There is one difference, however: DXRacer only has a few products in each price bracket, whereas AKRacing has a greater number of chairs in the low-to-medium price brackets. As a result, if you’re working with a limited budget and want as many options as possible, AKRacing is the better choice. DXRacer currently offers 13 different chairs, with an additional 17 special-edition models available. In contrast, AKRacing only offers 12 chairs in total. Also, while AKRacing usually offers a handful of different color schemes to choose from, DXRacer goes above and beyond. 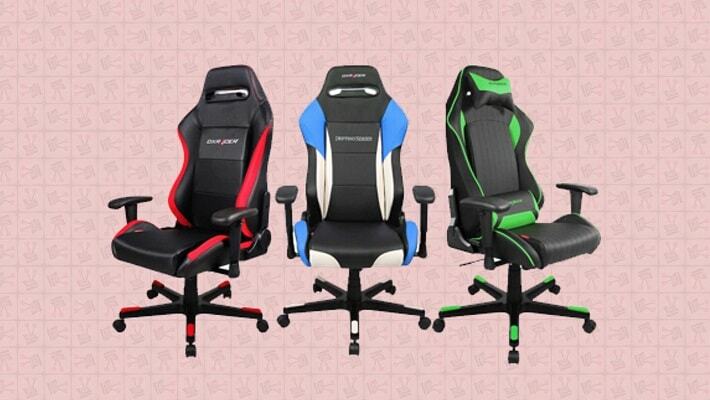 In fact, some DXRacer chairs come in as many as 11 different colors. There’s also the issue that some of AKRacing’s lower-budget chairs look very similar, just with slightly different designs on the upholstery. Don’t get us wrong – we’re sure there are major differences, but aesthetically, if you’ve seen one, you’ve seen them all. This gives DXRacer the upper hand in this category. If you’d really like to get into modification, DXRacer is the obvious choice here. It allows you to buy different backrests, cylinders, tilt mechanisms, and even bases so you can customize almost every functional component of its chairs. AKRacing, on the other hand, stocks standard replacement parts (although some come in heavy-duty variants). Instead, most of the customization here is aesthetic: you can change the color of the casters, shape of the support cushions, and even add a custom logo to the headrest (although you’ll have to order ten or more chairs at once, so this is really intended for eSports teams). This is the tricky part; comfort isn’t something you can accurately compare with numbers alone. However, we do know that both manufacturers use compression-resistant foam inserts, so the chairs will be just as comfortable in a year as they were the day you bought one. Also, gaming chairs are inherently ergonomic – that’s the whole point of the racing-car style seat. With both brands offering 4D armrests and weight-redistributing designs, there’s no reason you should be uncomfortable no matter how you like to sit. We honestly can’t say. Both brands offer similar product ranges, similar prices, even similar designs. 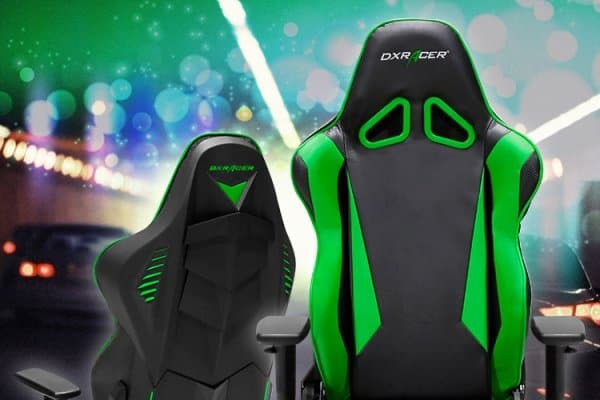 However, generally, AKRacing has more choice in the low-budget category, while DXRacer is better if you’re looking for a limited-edition or customized chair. It also depends on whether you like your chairs to look flashy or not. If so, DXRacer wins hands down. Usually, AKRacing products come in more muted tones, whereas DXRacer allows you to choose a hot pink trim if you’d like. Ultimately, with the main differences between brands being price and appearance, whichever you choose, you’re guaranteed a high-quality chair.